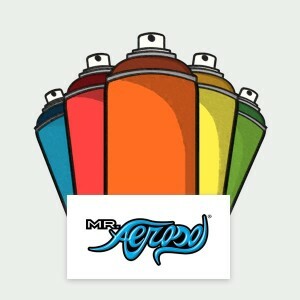 Here at Mr Aerosol we specialise in custom filled aerosols. We can match colours you require from RAL, British Standard 381C & 4800, Master Chromer and Automotive ranges and mix them for the substrate and gloss level of your choice. There are no minimum order quantities and we also offer great bulk buy deals. We also supply primers, basic colours, lacquers, touch up pots, abrasives and consumables.